If you happen to be self-employed or own a small business, you probably already know that getting a mortgage is a bit more cumbersome than when you had a paycheck and a W-2. There are some valid reason for this and despite the increased complication, remember that working with a lender (like us) who is experienced with self-employed borrowers will make the process much easier. Thus, the federal agency wants lenders to look at borrower’s ‘debt-to-income ratio,’ which is how much money a person makes each month or year versus the total debt and monthly payments. And even though this may be reasonable, these changes may have some unfortunate consequences on those who are self-employed or own their own business. 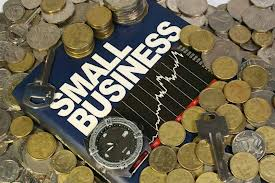 With that said, small business owners and those who are self-employed typically face some difficult challenges. First, for a small-business owner, verifying income depends on tax returns. While the mortgage crisis was waging, the ‘no documentation’ loan became widely misused. Entrepreneurs could qualify easier because a lender could look at factors such as total net worth when they evaluated credit worthiness. Second, when you used to get a paycheck, your income was fairly clear. But small-business owners and those who are self-employed show lower total income on tax returns than their actual capacity to pay. The major reason small-business owners show lower income is because of good tax planning and reinvestment in the growth of their business. Third, there is the debt-to-income-ratio. Lenders want to see that a potential borrower doesn’t have a lot of debt, including credit cards, car loans, or consumer borrowing. However, it is very likely that a business owner will have debt in order to run the business and this may show up as personal debt. Finally, a borrower has to have sufficient assets to pay back the loan, but an entrepreneur’s greatest assets won’t likely count. Even though you may think that your company is a valuable asset, and to you it is, most banks do not. And, your company’s debts may count against you. If you are a small-business owner and/or self-employed and you are thinking about buying a home in the near future or refinancing and are concerned about these new rules, please contact me so I can be of assistance. It definitely pays to know the rules.